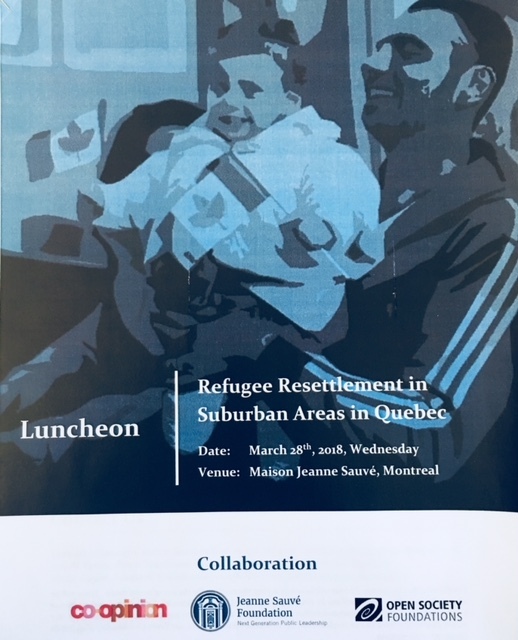 On March 28th, 2018, in collaboration with the Jeane Sauvé Foundation, Co-Opinion Network, and Open Society Foundation, we organized a luncheon to discuss the post-resettlement integration processes of Syrian refugees in non-metropolitan areas of Quebec. The event brought together academics, practitioners, civil society leaders, policy consultants, journalists, and other engaged parties. 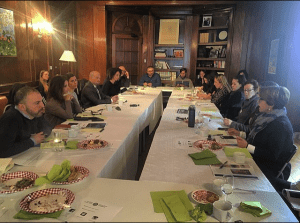 This event that launched our project will be followed by expert roundtables and field visits. In this event, the distinguished participants touched upon various aspects of the issue at hand such as whether there are sustainable resettlement and integration policies in place in Canada with respect to health, education, transportation, and employment; and what kind of barriers newcomers face in these processes. The barriers to mobility and lack of comprehensive access to health services were highlighted during the meeting.